A 94-year-old man has been arrested and charged with sexually assaulting a woman of seventy-three. 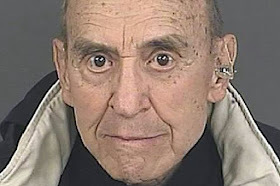 The bizarre case has been put before the courts in Denver, Colorado. The Denver Post reports that Robert Lehnert has been charged in connection with a sexual assault on an acquaintance. Denver prosecutors said the nonagenarian is now facing two counts of sexual assault, according to the Denver District Attorney. The charges allege that Lehnert sexually assaulted the victim in her home on January. 6. Lehnert was arrested earlier this week and has been released from custody on a $50,000 bond. His next court appearance is scheduled on February 5 for a formal advisement of his charges.